This socket is to control using BLE4.0. 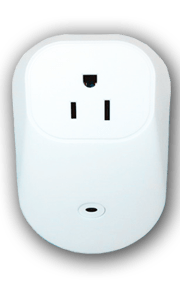 Standby power consumption is little to ignore (equivalent to WIFI socket power consumption 5% - 5%). Commonly it can be remotely controlled through mobile terminal APP, and it also can be connected to the Bluetooth gateway, using a mobile phone for remote network control. >Additionally, it can be connected to BLE wearable devices to control. Our company can provide the control software, Bluetooth gateway and the background server for Windows/iOS/Android and other platforms. 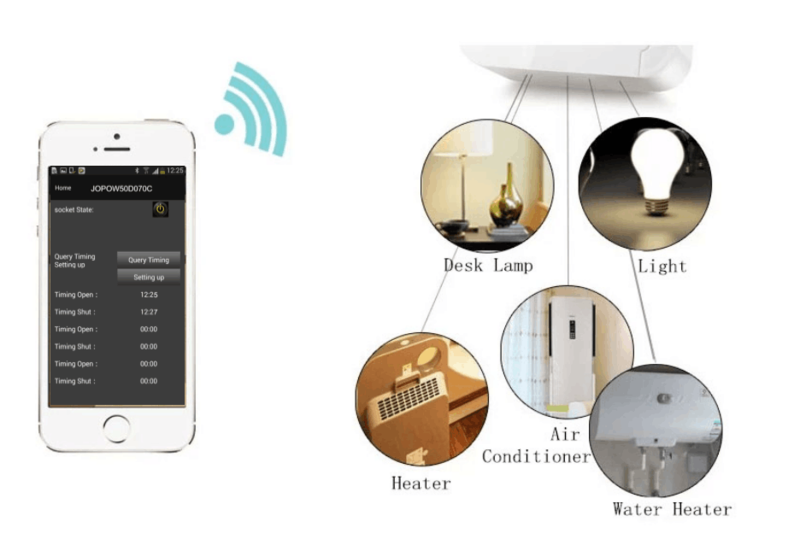 With APP platform, the real status of home appliances will sync it to your phone. The protection circuit design—with circuit protection function smart socket itself, when used on ordinary socket, it is an added protection for electrical equipment and the ordinary socket. Multiple choices for connection and control—there are at least three solutions of Jinou smart socket for you.